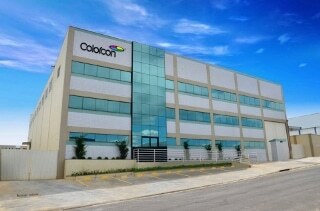 Colorcon Inc. is pleased to announce its investment in a new film coating manufacturing plant in Indaiatuba – São Paulo State, Brazil, supporting the continued growth of the pharmaceutical industry in South America. The construction is scheduled for completion by October 2016 with the production of commercial scale product scheduled for January 2017. Strategically located, the site will produce GMP film coating products for the pharmaceutical and nutritional markets in South America, including Argentina, Brazil, Chile, Paraguay and Uruguay. Colorcon Brazil will continue to support customers across the region with formulation and development of pharmaceutical products through the Technical Service Laboratory already established at Cotia, Sao Paulo. Originally opened in 2000, this support facility has continued to provide samples and applications support for over 16 years in the region. Colorcon is a world leader in the development, supply and technical support of specialty excipients: formulated film coating systems, modified release technologies, and functional excipients for the pharmaceutical industry. Colorcon currently has 10 manufacturing facilities, 19 technical service laboratories globally and more than 1200 employees.